First off, we JUST had two slots open up on our Relaxshacks.com THREE DAY, Hands-On, Building Workshop this weekend- so if game, hit the banner link above asap. 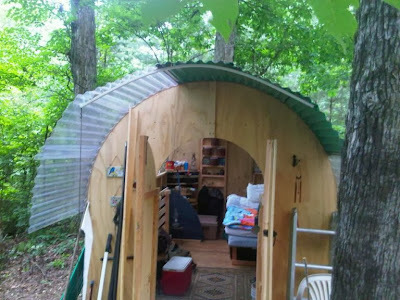 The weather is supposed to be great and we now have a Tumbleweed Fencl on wheels stopping by for the weekend, a Yurt being set up, we'll build and design two cabins, tour five others, AND visit Jay Shafer's old tiny house on wheels in Boston- the very first Tumbleweed. Can't wait! I'm writing from my office E-mail to tell you, you've inspired us to build a cool little cabin on our North Georgia property. It's an off the grid deal for the weekends until we build the real house (Maybe). This place is off the grid, solar powered and has a woodstove I made from a repurposed ammo can. If you're interested I can send you more pics and will soon have a Youtube flick. 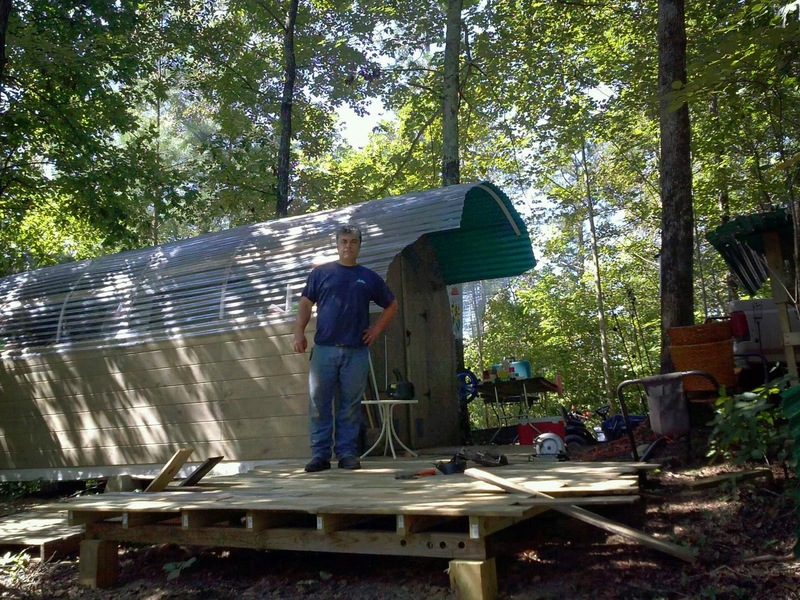 We're building a few more mini cabins because you can't call it a compound with only one! Wish I could attend one of your workshops, but I'm an IT contractor with zero vacation time and weekend work schedules. We're in Crandall Ga, near the Tennessee line, so if you'd like to stop by and offer any recomendations or see what we've got, that would be cool. We're on 25 acres, it would be a perfect place to do a North Georgia workshop, or if you just want somewhere to hang out in the woods when Vt gets too cold, I'd be honored.